What?? You’re still breastfeeding that baby? Let’s educate them! Inform critics about the importance of breastfeeding past 1 year. Many critics believe that there is no value in breastmilk after 1 year. Blame it on your doctor. The World Health Organization recommends exclusive breastfeeding up to 6 months of age, with continued breastfeeding along with the additions of food for two years and beyond. Saving lives, people, saving lives! Find a breastfeeding support group or parenting group in your area where it is normal to breastfeed your baby for however long you are comfortable. Surround yourself with these supportive women. They will have plenty of advice for you. The Chatham chapter of La Leche League Canada has an active Facebook page www.facebook.com/lllchatham. They meet the 2nd Wednesday of the month at 10:30 a.m. at the YMCA. They also offer telephone and email support as well! 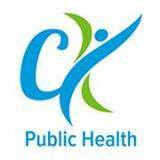 To find accurate sources of information contact the Chatham-Kent Public Health Unit at 519-352-7270 ext. 2903 to speak with a Registered Nurse. Breastfeeding is the foundation of life! Supporting you through all stages of life …it’s what we do! By: CKReview staff on October 8, 2018.